DUBAI UAE: Dubai Municipality is working on developing laws, regulations and policies in line with the new code that will ensure all buildings and public facilities are accessible for special needs by 2020. 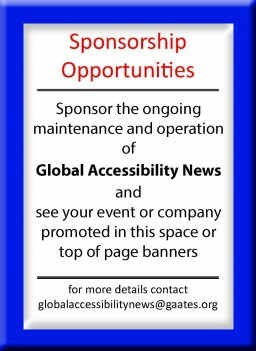 The International Dubai Code for Accessibility, expected to come into effect next month, will make it compulsory for developers of new buildings to make a buildings designs and infrastructure accessible to the special needs. Old buildings will be given the chance to make the necessary modifications to make their infrastructure more disabled-friendly before 2020. Penalties will apply on developers who fail to make the changes. Ahmed Al Salami, head of the municipality’s building systems development unit, said the department is working on developing a five-year Universal Accessibility Strategy and Action Plan. “The key is to make Dubai a city accessible for all. Aside from people who are permanently disabled, there are others who need special treatment at a certain stage of life, such as the elderly people and pregnant women for example and the city should encompass all of them,” Al Salami told Khaleej Times. He added that the new laws and regulations will be announced within the next coming months once the code comes into effect. However, he did not specify the time frame. Although the municipality already has a list of construction regulations to allow accessibility for special needs to Dubai buildings and public facilities, the code is said to provide detailed and clear rules and design that will completely change Dubai’s structure. The municipality, transport agencies, developers, social groups and people with special needs are reviewing the code before it is submitted to higher authorities. 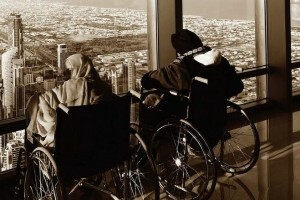 The guidelines are part of plans to make Dubai among the most disabled-friendly cities in the world. Launched by HH Sheikh Hamdan bin Mohammed bin Rashid Al Maktoum, Crown Prince of Dubai and Chairman of The Executive Council. “My Community… A City for Everyone” aims at turning Dubai into a disability-friendly city by the year 2020. Projects and initiatives will promote the participation and inclusion of persons with disabilities in the community who shall be provided access to physical environments, transportation and communication systems. Providing ramps by pavements and outdoor stairs. Dedicating 1.3 per cent of parking spaces to special needs, of at least 10 parking spaces with clear signs. Parking slots should be only 60 meters away from main entrances and elevators. Providing direct lanes from parking spaces to elevators and main entrances. Providing equipment bathrooms for special needs.